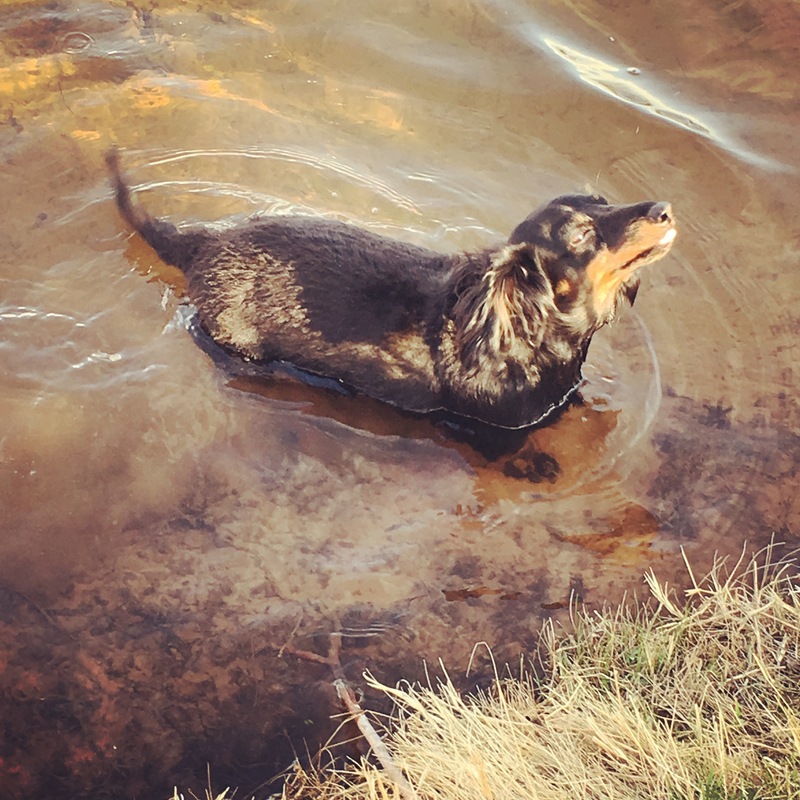 Sweet little weenie dog, Ellie, loves the creek. She’s a long-hair so Luke and I ‘pruned’ her – gave her a haircut to help with detangling her when she comes back up from the pond. She wandered around for a day like she was embarrassed. That happens to us when we get pruned, too, doesn’t it. We wander in some strange way for some strange reason we don’t even know … only to get our wings clipped when The Most High sends someone or something to redirect us. carry you to The Rock where you climb to the top and sit, and face full into the wind. When we choose to come back to Him we come into the space He has created specifically for us – it’s just you and me, Lord … with a space of big sky to call our own, a tree to throw our arms around, the Rock to press our cheek against, rescued. Redeemed.